Garland Jeffreys: New York's 'King Of In Between' The King of In Between is Jeffreys' first album of new music in more than a decade. Hailed as Rolling Stone's Best New Artist in 1977, Jeffreys later had more success overseas. Rock critic Ken Tucker says the new album showcases a lively artist who remains artfully ambivalent. 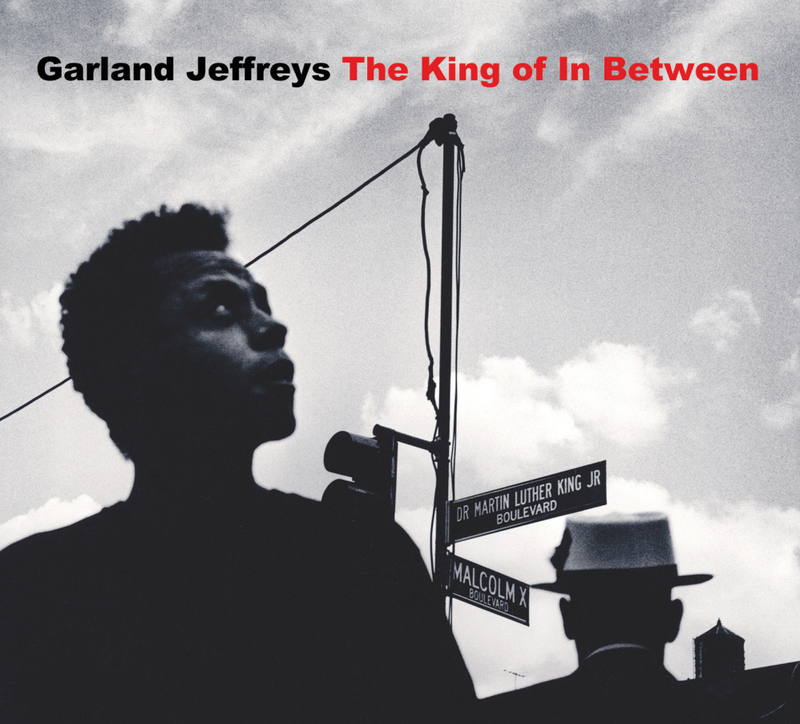 The King of In Between is Garland Jeffreys' first album of new music in more than a decade. 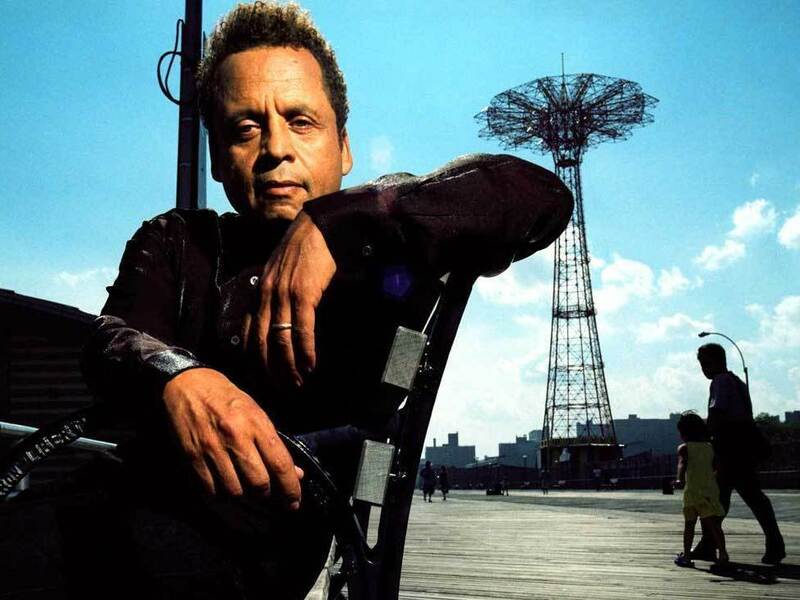 Garland Jeffreys is indeed alive. "I took down notes and I photographed," he says in "I'm Alive." It's Jeffreys' precisely recalled details about a life begun in Brooklyn, studying art in college and the decades-long pursuit of rock 'n' roll redemption, that continues to give his music its fizz. Jeffreys is one of the few performers who came of commercial age in the era of Bruce Springsteen who can still make that guitar-based, myth-making impulse work as intimate art. Singing about his own upbringing in New York City and observing his daughter's walks down what Jeffreys would never stoop to call those mean streets, he is at once a wary realist and an appreciator of the culture lurking amidst the potential dangers. One of his new songs is titled "Streetwise," a quality Jeffreys possesses in abundance without letting the swagger overtake his reportorial skills. The music has a cinematic string-section swirl that recalls Curtis Mayfield's soundtracks for films such as Superfly and Claudine, but it's bent to his will by his own guitar hooks. Jeffreys retains a pride in his roots that's both fierce and sentimental. Perhaps that's why he had himself photographed on the cover of The King of In Between standing at the intersection of Malcolm X and Martin Luther King Jr. Boulevards in Harlem. It's an image echoed in the music — he's at a crossroads, trying once again to break through the noise of the music industry while remaining true to his own eclectic style. Jeffreys' music has always been rich with his diverse interest in all sorts of popular music, as well as his heritage as a man born to a black father and a Puerto Rican mother. He's written incisive songs about mixed race and mixed feelings: "Too black to be white, too white to be black," he's sung ruefully. And he's never forgotten where he was born: 22 stops on the subway from Manhattan, where he started playing professionally with jazz and rock musicians. Jeffreys counts Springsteen as his friend and Lou Reed as on old-school chum (Reed sings back-up vocals during one cut here), and if you aren't familiar with his music, well, the best compliment I can pay Jeffreys is to say that his newest album is as good an introduction to his excellence as the superb album that put him on the map, 1977's Ghost Writer. There are quite a few mentions of mortality scattered throughout his new collection. In one song, Jeffreys says he doesn't want to die onstage with a microphone in his hand, but he makes it sound as though it might be a beautiful way to go. In every respect, he's not just artfully ambivalent; he's the king of in-between.